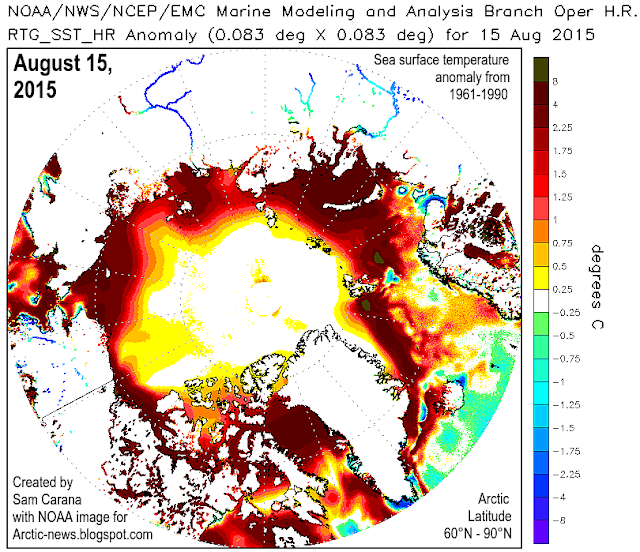 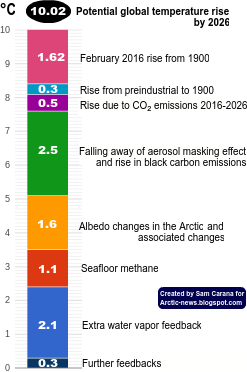 The image below shows sea surface temperatures in the Arctic as at August 15, 2015. 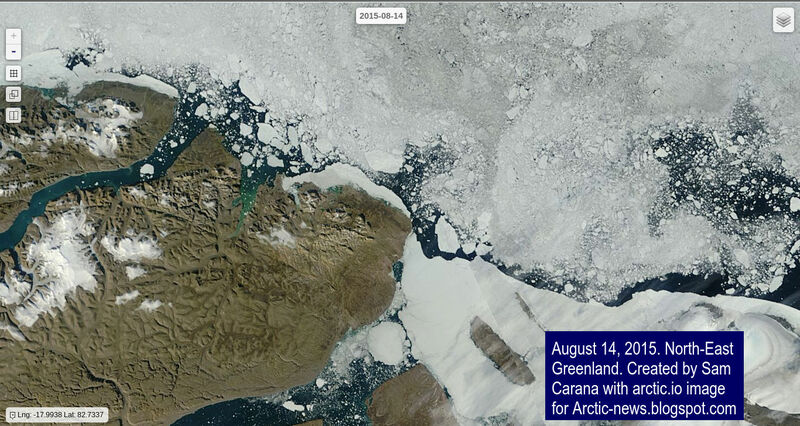 Below a time lapse video, covering the period from May 30 to August 15, 2015, created by Cameron Forge with daily images from NPEO Webcam 1 from the North Pole Environmental Observatory, National Science Foundation. 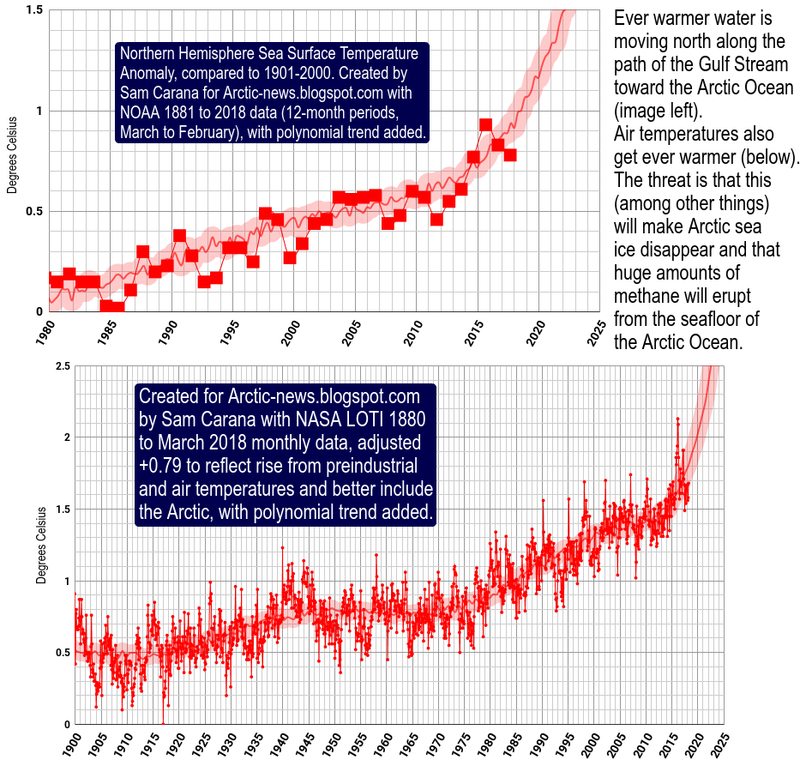 For a drift map of the buoys, also see this page. Below is an August 14, 2015, satellite image from Arctic.io showing that there is very little sea ice to the north east of Greenland and what is there looks to be very thin as well. 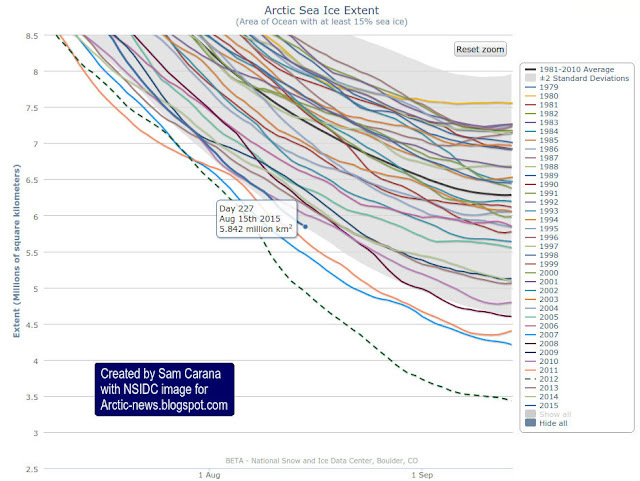 The image below shows Arctic sea ice extent, with the blue dot indicating the extent for August 14, 2015.